Port Authority takes to the skies to remove and rehome one of Sydney Harbour’s vital shipping radars. There was a buzz of activity over the Sydney skyline this month (November 2017) as Port Authority of New South Wales took to the skies to remove a radar from one of city’s tallest buildings. The roof of the AMP Centre has been the home of one of Port Authority’s radars since 2011 but, with the building due to be revamped and replaced, the equipment has had to find a new home. 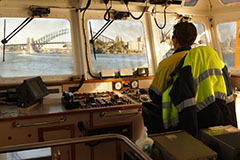 Port Authority of New South Wales uses its vital radar equipment to track the safe movement of commercial shipping in Sydney Harbour. 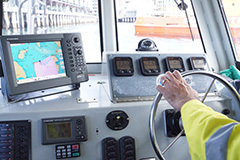 It’s part of a network of five radar stations around Sydney and Port Botany which are used by Port Authority’s Vessel Traffic Services (VTS) team and the Harbour Master to monitor which ships are coming in and out of the city’s ports. On 12 November a helicopter was sent skywards to lift the equipment from the roof of the 188 metre building and carefully lower it to a truck waiting on the closed-off streets below. Thanks to clear weather and precision planning, the delicate operation led took only 15 minutes to complete. The radar was given an essential maintenance makeover - the gearbox and electronics were given a thorough service and a specialist team that flew in from Denmark replaced its foil outer coating. The second phase was to install the equipment by crane in its new home in Darling Point, Sydney where the radar was soon back online and back to work keeping ships safe in the harbour. 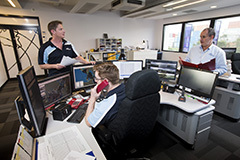 Port Authority's Port Botany-based Vessel Traffic Services (VTS) team will use the radar, alongside radio and video channels, to monitor the harbour and help ships navigate safely and efficiently to their destinations. 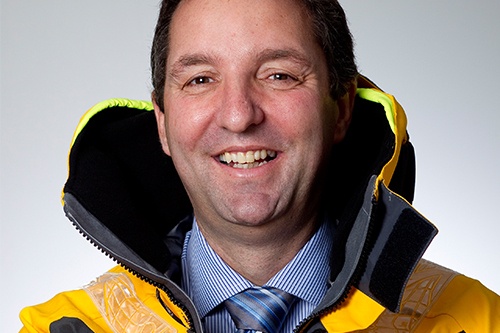 Image: The radar back online and back to work keeping ships safe in the harbour.